One of our goals at Col Conk Products is to help men properly care for their faces. Many of our products have been formulated specifically to moisturize skin. 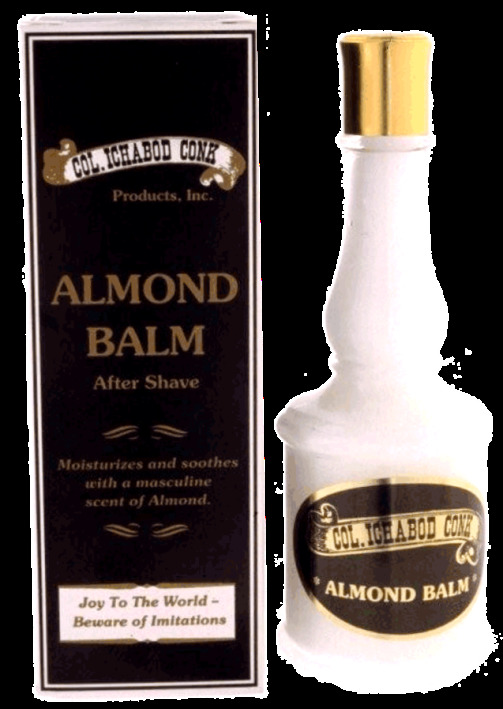 The term “balm” isn't one we chose for its “old time” character, though it does harken back to era of the Colonel and beyond. An effective after shave balm is a lotion that replenishes your skin's moisture: it hydrates your skin. We wanted to go a step further. Our Almond Balm After Shave is formulated to soothe and cool your skin as well, with the distinctive masculine scent of almond. Be assured: that subtle hint of amaretto, like all of our signature Col Conk scents, never overstays its welcome. 4 ounce bottle. Made in USA.